An itching head can feel as unpleasant as it can be unsightly. 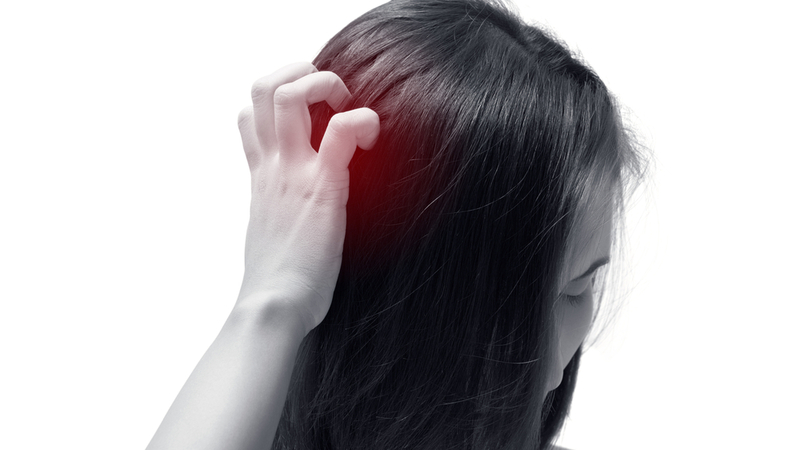 Scalp irritation is something that can strike us unexpectedly at any age and frustratingly linger, sometimes even for years. Like so many persistent health problems, there seems to be a maelstrom of possible reasons surrounding what causes an itchy head. For that reason, here at Julian Jay, we’re committed to giving our clients the clarity and guidance needed to ease their irritation. 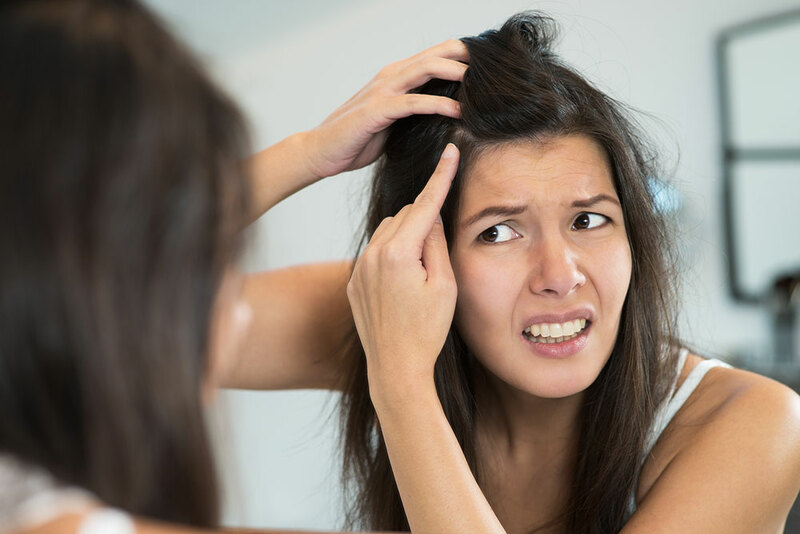 You might think it obvious, but when it comes to these stubborn scalp itches, diagnosing the complaint correctly is often harder than it seems. Frequently, people self-diagnose their itching head as nothing more than dandruff. The problem, however, is not quite so two-dimensional. For one, dandruff itself has more to it than you might think, requiring specific treatment depending on the different intensities. 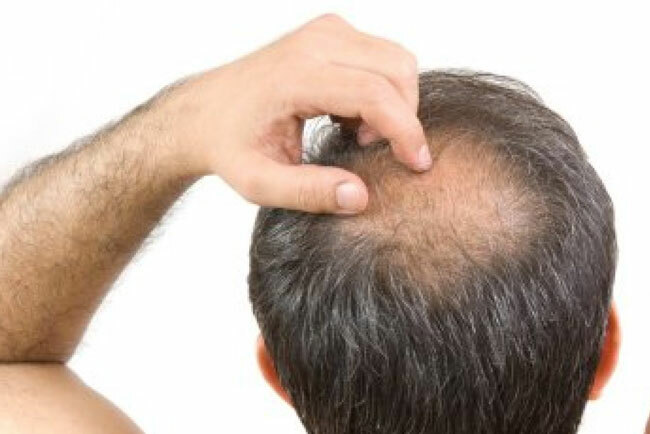 The milder form is caused by an excess of a fungus known as Pityrosporum ovale, whereas the more severe type of dandruff carries the clinical name of Seborrhoeic Eczema or Seborrhoeic Dermatitis. It’s little wonder many people don’t recognise these names when most of us would have trouble just pronouncing them. 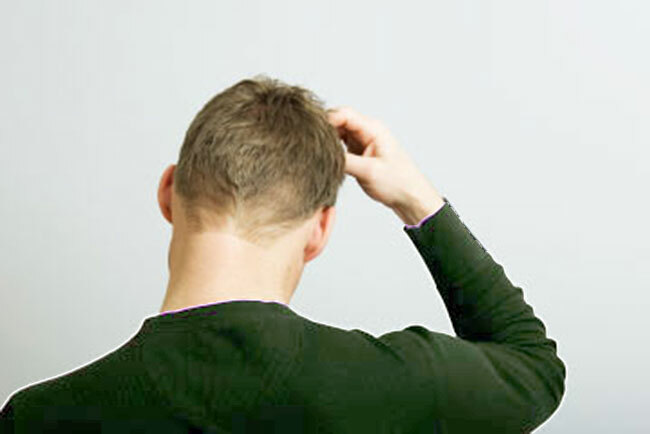 What’s more, the consensus seems to be that scalp flaking is a symptom of only dandruff. As anyone who’s suffered from unrelenting ‘dandruff’ for years will tell you, this isn’t strictly true. This is down to nothing more than a misdiagnosis. Modern life deals out its fair share of stress, and with that comes one or two health complications. One such complication can be the triggering of the autoimmune disease, Psoriasis, causing the accumulation of dead skin cells forming scaly patches. With this complaint affecting such prominent celebrity figures as Kim Kardashian and Cara Delevingne, it’s gained some much-needed exposure, meaning the right diagnosis and treatment can increasingly be applied to appease the irritation. Certainly, it’ll be no shock revelation to say that personal hygiene has an impact on the condition of your scalp, but we’re fairly certain you’ve covered this basic. When it comes to hereditary conditions such as Scalp Psoriasis, though, the truth is that it’s likely to be with you for the foreseeable future. Nevertheless, that’s no reason to despair. 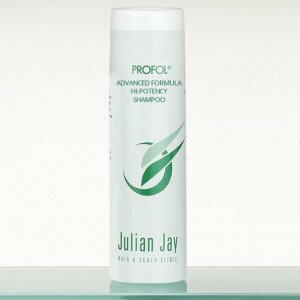 At Julian Jay, we’ve formulated our Profol Scalp Clear Treatment Shampoo to fully relieve an itching head. Whether you suffer from a greasy or a dry and cracked scalp, a covering of our effective Profol formula can free you from this perennial pain. Depending on the severity of your complaint, the frequency of application would lessen the more you use our products as their restorative properties get to work. That said, we do advise consistent application, keeping the symptoms well and truly at bay. Put your head scratching to rest with our soothing, healing Profol formula. Browse our full collection online or call us today on 0800 191 0477 to order.